Logistics sales solution requires the services of reliable partners. 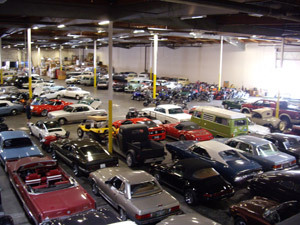 Especially in terms of proven quality, competitive prices and service CaliforniaClassicCars cooperates with transport agency Direct Express, Inc. (www.shipdei.com). This is the basic company that handles all kinds of items ordered by CaliforniaClassicCars (sea fractal). The vehicle shipping price is dependent on the size. The Customer has also opportunity to buy from CaliforniaClassicCars various car accessories that can be placed in the sent vehicle with no additional charges. Examples of shipping prices from Los Angeles to: France (Dunkerque), Belgium (Antwerpen), Niderland (Rotterdam, Amsterdam), UK (Dover, Bristol), Germany (Bremenhaven).